No hay banda. 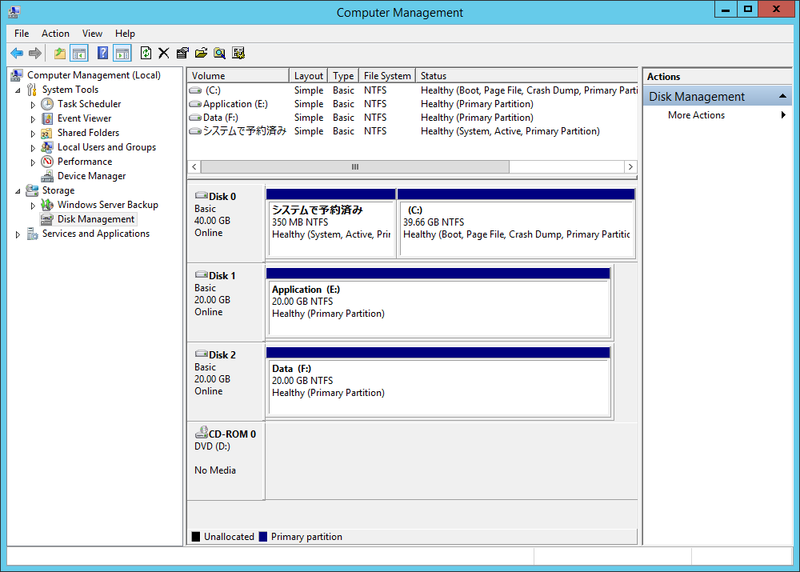 No hay orquesta. 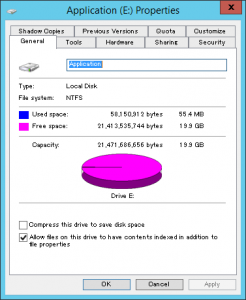 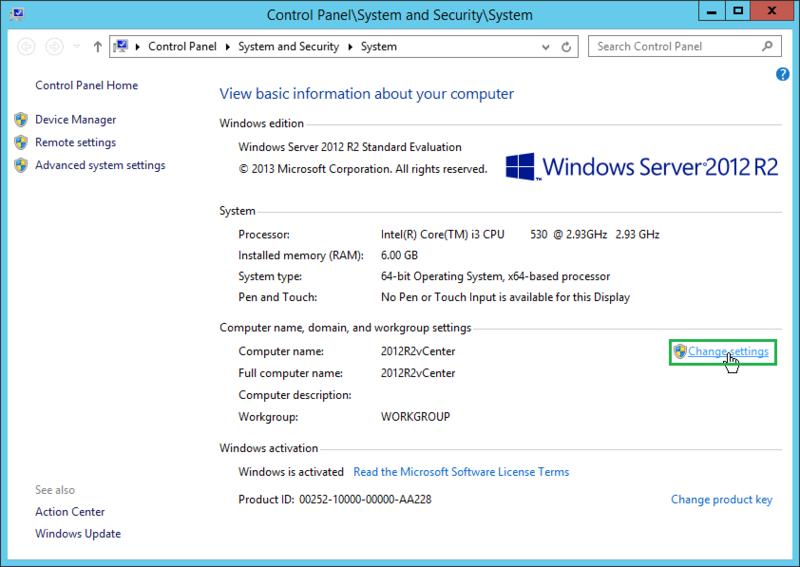 This article describes the steps to prepare for installing MSSQL and vCenter Server. 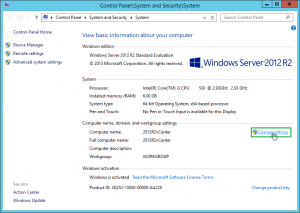 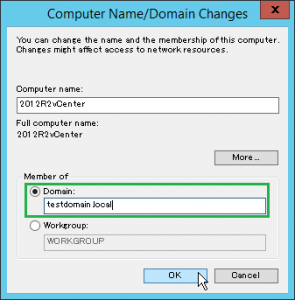 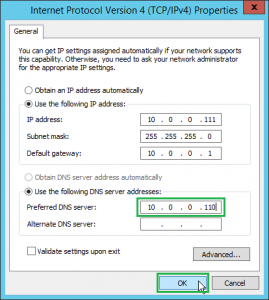 Set the preferred DNS server IP address with the Active Directory DNS server’s IP address. 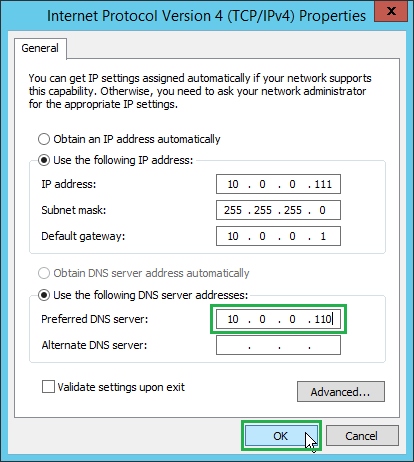 In this example, the AD DNS server’s IP address is “10.0.0.110”. 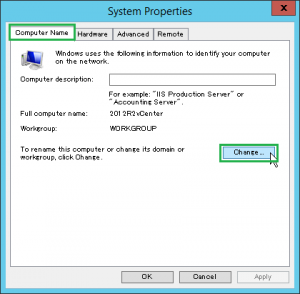 To open the [System Properties] dialog, open the [Control Panel] window, and select the [System and Security]-[System]-[Change settings] link. 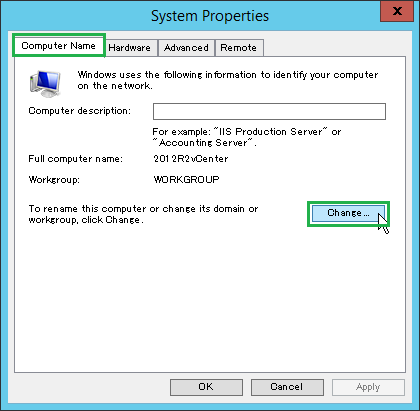 After opening the [System Properties] dialog, push [Change …] button at [Computer Name] tab. After opening [Computer Name/ Domain Changes] dialog, select [Domain] radio button and input the AD domain name into the text box. 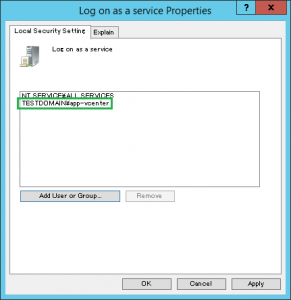 After selecting [OK] button on the dialog, [Windows Security] dialog will be opened. 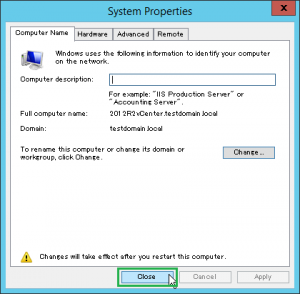 Input the domain administrator username and password, and select the [OK] button. If authentication is succeed, following “welcome” message dialog will be opened. 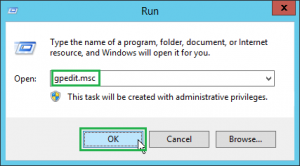 Push the [OK] button for closing the dialog. Push the [Close] button for closing the [System Properties] dialog. 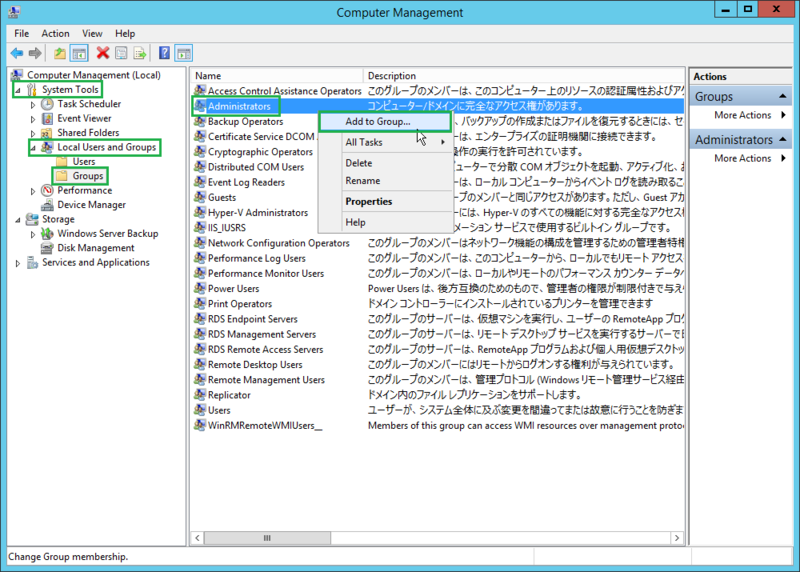 After closing the dialog, following message dialog will be opened. 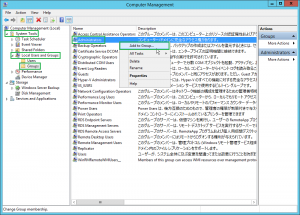 Following dialog will be opened. 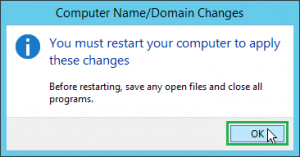 Push the [Restart Now] button on the dialog if you want to apply changes immediately. After opening [Administrators Properties] dialog, push [Add…] button. 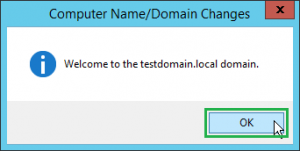 After opening [Select Users, Computers, Service Accounts, or Groups] dialog, input “testdomain\app-mssql” domain username into [Enter the object names to select] text box, and push [OK] button. 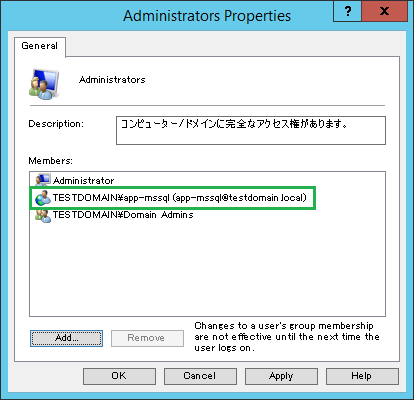 Check that the domain account is added in [Members] pane. 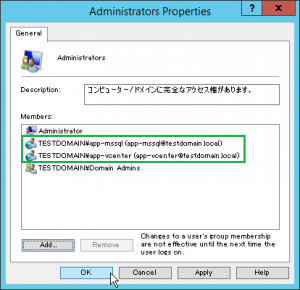 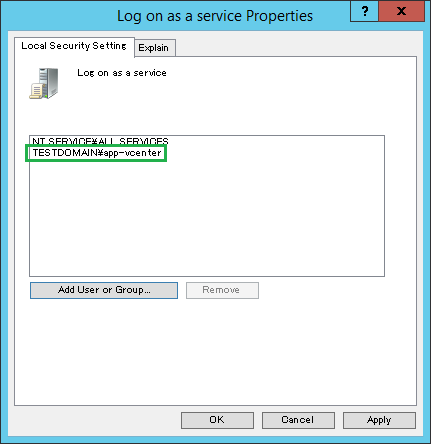 Add “testdomain\app-vcenter” domain account in the same manner. After that, push [OK] button for closing the dialog. 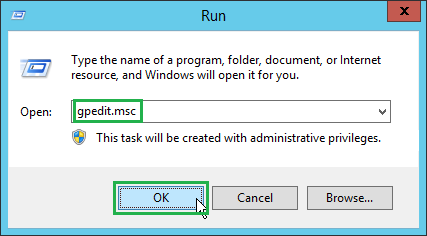 Open [Run] dialog, and input “gpedit.msc” into [Open:] text box. 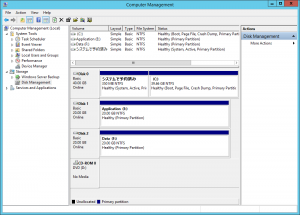 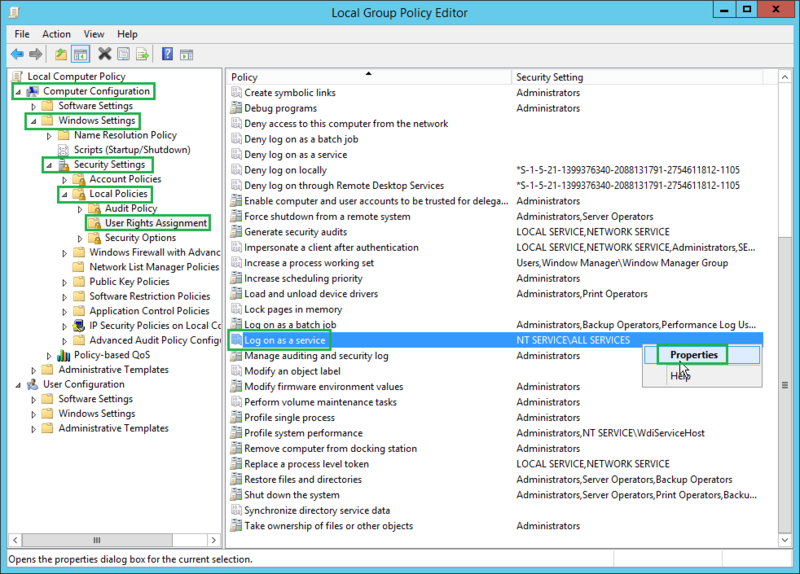 After that, push [OK] button for starting Local Group Policy Editor. After opening [Local Group Policy Editor] Window, select [Log on as a service] policy at [Computer Configuration]-[Windows Settings]-[Security Settings]-[Local Policies]-[User Rights Assignment]. 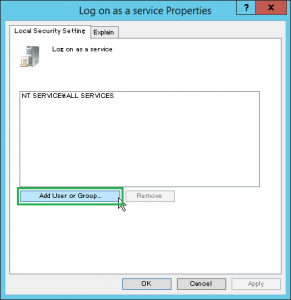 After opening [Log on as a service Properties] dialog, push [Add User or Group…] button. 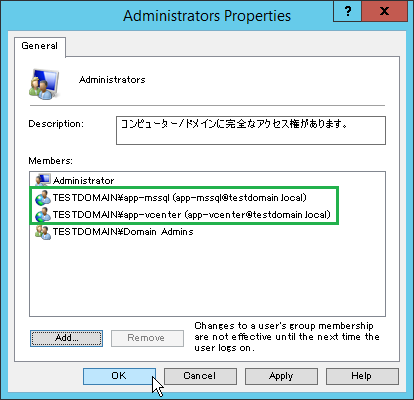 After opening [Select Users, Computers, Service Accounts, or Groups] dialog, input “testdomain\app-vcenter” domain username into [Enter the object names to select] text box, and push [OK] button. Check that the domain account is added in the pane. 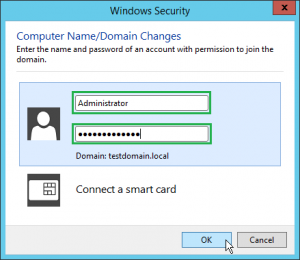 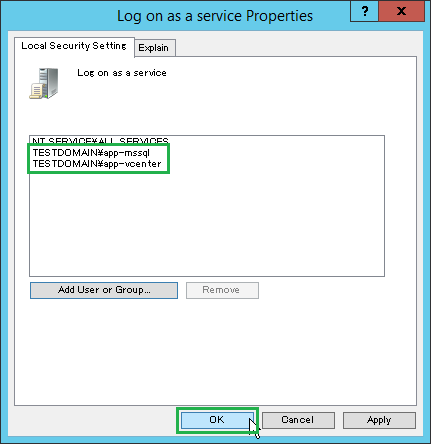 Add the “testdomain\app-mssql” domain account in the same manner.